Saute in 1 teasp of butter with 1 teasp olive oil. When golden, turn the slices over. At this point, drench the courgettes with the zest of one lemon. I use a zester for long thin bits of peel but you could grate if you wish. When golden underneath, toss them lightly and serve straightaway! These are delicately flavoured and go well with grilled fish or chicken. 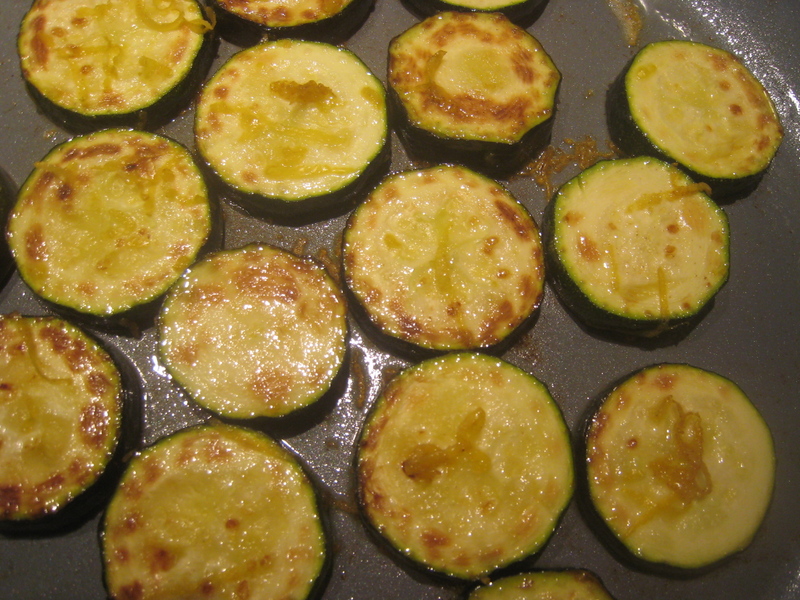 The lemon really lifts the courgettes to make them something rather special!